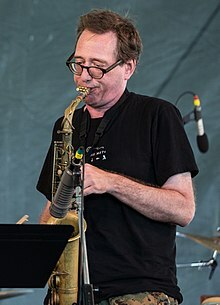 John Zorn’s ‘Book of Beriah’ Box Set & Zorn’s Insurrection Quartet: Julian Lage / Matt Hollenberg / Trevor Dunn / Kenny Grohowski! Wadada Leo Smith’s Rosa Parks! Elliott Sharp’s IrRational Music – Book! 577 Records: Daniel Carter/Patrick Holmes..! Tim Brady Orchestra! Aine O’Dwyer / Graham Lambkin! Michael Foster/Katherine Young/Michael Zerang! Two Great El Guitar Duos: Sandy Ewen / Chase Gardner! Nick Didkovsky / Tom Marsan! Archival Discs from Richard Pinhas! Third Ear Band! The Fall and Much More..! Annette Peacock very rarely plays live so Do Not miss this essential Rare Live performance! 7pm: AXIS: JON IRABAGON / JOHN HEGRE / NILS DRONEN – Saxes / Guitar / Etc. 6pm: MATANA ROBERTS and DARIUS JONES – Alto Sax Duets! 6pm: MATTEO LIBERATORE / JON IRABAGON / TOM RAINEY – Guitar / Saxes / Drums!